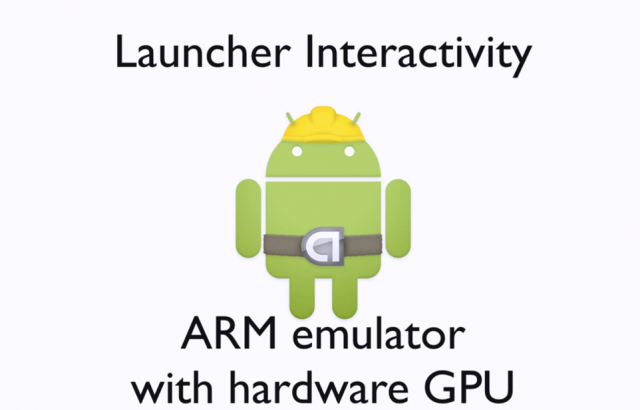 The Android SDK was updated recently to provide support for Android 4.0.4 and x86 processors, and now developers have the ability to test those apps on their computer using an updated GPU-enabled emulator. The Android developer team has proudly announced that no longer do developers have to struggle through stuttering desktop performance using in order to endeavour to recreate the Android experience. Improved performance is obtained by ” funneling the OpenGL ES 2.0 instructions from the emulator to the host OS, converted to standard OpenGL 2.0, and running natively on the host GPU.” In other words, all those expensive components inside your desktop PC or server are finally being used. The next step is to give developers and builders the ability to emulate NFC and Bluetooth, but this is a great first step to providing a new generation of Android apps. Hit the break for a demonstration of the emulator’s new prowess.